Ambergris Caye, Belize, November 1, 2016	(Newswire.com) - ​​Whether it is about turnkey businesses, personal tropical island getaway, or vacation rental programs, Coldwell Banker on Ambergris Caye highlights that it is never too late for everything. Coldwell Banker is always one call away to help tourists and investors around the world to expand their knowledge and ROI. In fact, the continued rising success and growth of the tourism in Belize can make it all possible in just a short period of time. Based on the hottest news from The Caribbean today, impressive reports on Belize’s increasing arrival of tourists never fails to fill the news. As a matter of fact, from June 2015 – September 2016, Belize had record breaking tourist arrivals. Every month, the overnight arrivals increased and doubled to roughly 33% growth. After 9 months in 2016, tourist arrivals in Belize are now close to the 3rd quarter 26.9% rise for September 2016. Compared to the record of September 2015, it is a big improvement. The Belize Tourism Board is proud to reveal that for the past 9 months of 2016, an outstanding 293,622 arrivals is recorded. This is a 16% rise over the previews 9 months of 2015 with 252,329 overnight recorded arrivals. From the latest records of September 2016 cruise arrivals, 54,569 passengers arrived in Belize. Thus, the cruise arrivals added a 20.6% rise over last year. Despite the revealed figures recently that 12 lesser cruise ships arrive in Belize because of Hurricane Earl, the number of tourists was never discouraged from visiting the place. Stats further reveal that the US maintains to be the largest source market of Belize with its 67.4% of share in the market. It was followed by Europe and Canada. For the remaining months of 2016, a continued increase in figures is predicted, especially with the recent inaugural flight of WestJet Airlines to Belize from Canada on October 29. Hence, direct flights between Belize and Toronto are now available! With the transparent figures on the tourism industry of Belize, it really is true that anyone who visits Belize could really experience paradise. It is the answer destination to wipe out every tourist’s tiredness, stress, burned out feeling and a search for retreat. Visiting Belize it just like visiting heaven here on earth. Who would have thought that paradise is in the western-most shores of the fantastic Caribbean Sea? It is a promising place with warmth and pleasure. Hundreds of sanctuaries and preserved parks surround Belize. For those who are enthusiastic about looking back at the Mayan Civilization, the ruins in Belize will definitely satisfy their curiosity. Coldwell Banker Ambergris Caye adds that Belize is a paradise that is full of new wildlife to see, lush wild forest to explore and soft sandy beaches. 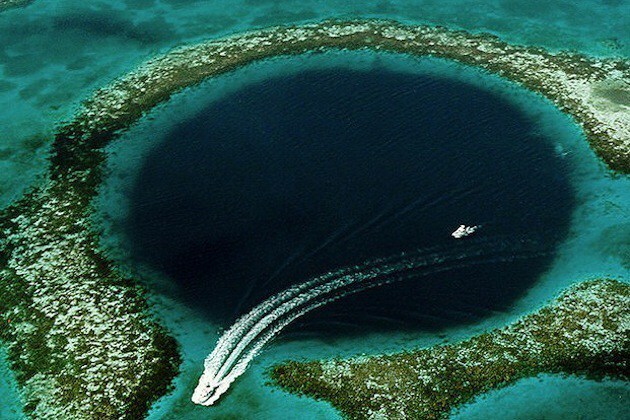 This is also the top reasons why Belize is a perfect destination for overseas retirement. Belize also promises 4Cs to all types of tourists such as Comfort, worth it Cost, rich Culture, and Convenience. Hence, Belize is guaranteed 100% tourist friendly with loving and accommodating people to ensure they have an unforgettable experience.